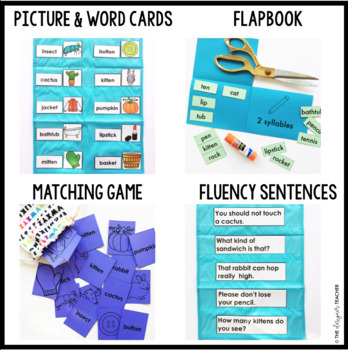 Are your students ready to make the jump from decoding one-syllable to two-syllable words? 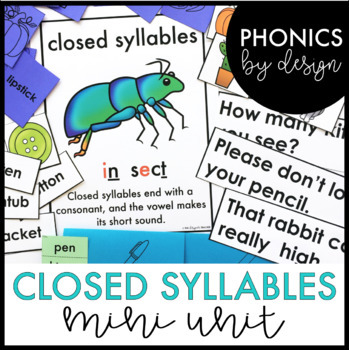 Words with two "closed" syllables (also called VCCV pattern words) are the perfect place to start. When dividing a word with two closed syllables (syllables with a short vowel followed by a consonant), students will divide between the two consonants, such as in rab/bit and in/sect. 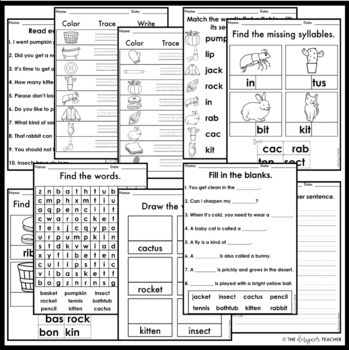 Clear images, readable fonts, and easily decodable words make these materials accessible to all students, including ELLs and students with IEPs. 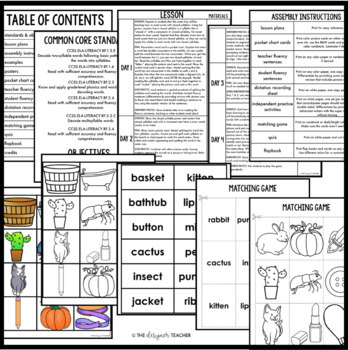 This mini unit is ideal for small group instruction, RTI, or a special education setting.